Tis the season to be joy, and tis the season for the latest Star Wars movie to come out in the theaters. 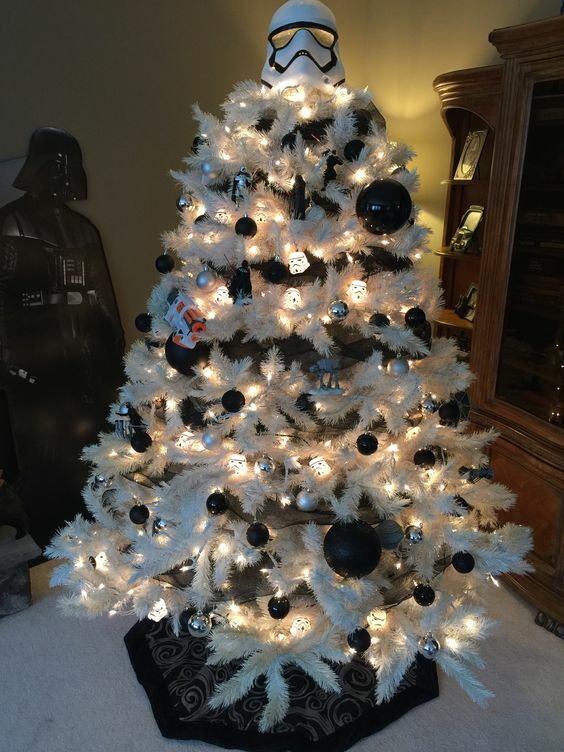 If you haven’t had enough Star Wars overload yet (as if that’s possible) you may want to go all out and decorate your Christmas tree with a Star Wars theme. 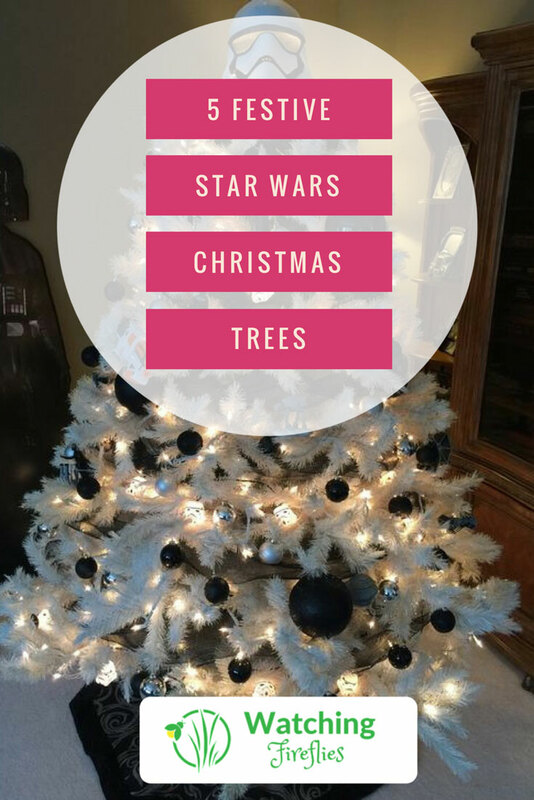 Here are 5 festive Star Wars themed Christmas trees to give you some ideas. 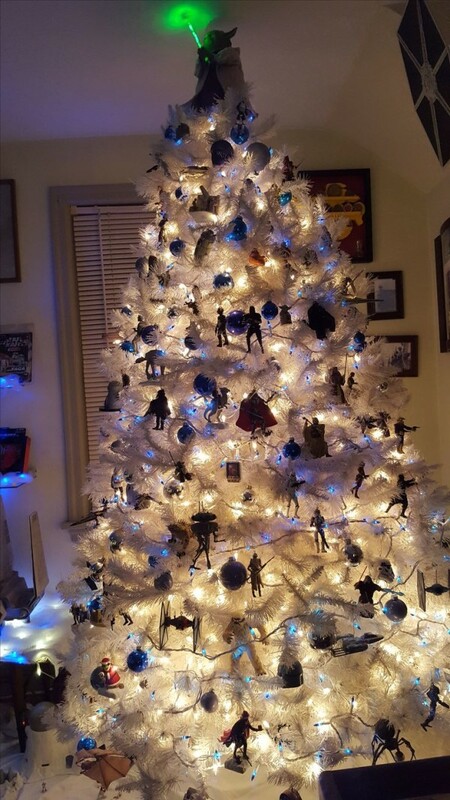 If you are a fan of white Christmas trees then you will enjoy this Hoth themed Star Wars Christmas tree. If you look closely you will even be able to see a Wampa in the tree. This is the Droid tree you are looking for. This cool tree from DIY Candy is decorated with R2D2 and C3P0 decorations. You can even find the instructions on how to make them. 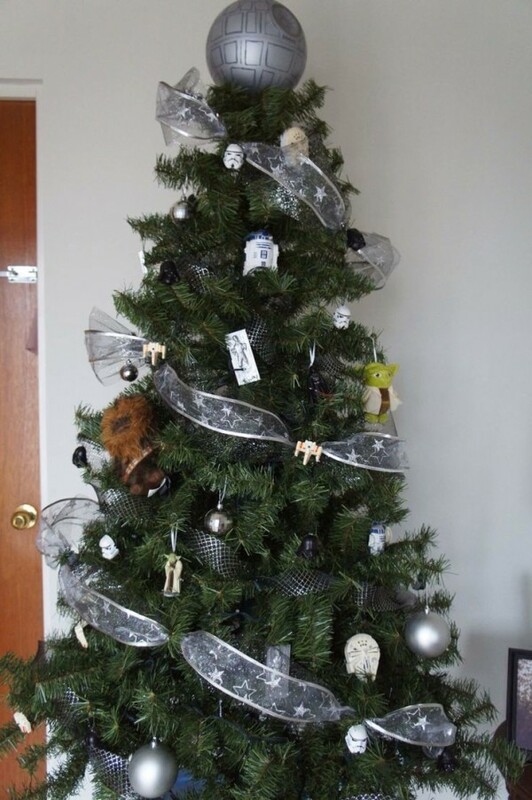 Another white Star Wars Christmas tree. This one is decorated with Storm Troopers and white festive Tie Fighters. The Darth Vader helmet on the top is an extra nice touch. If you came down on Christmas day to see your tree decorated like this you might get a bit of a shock. 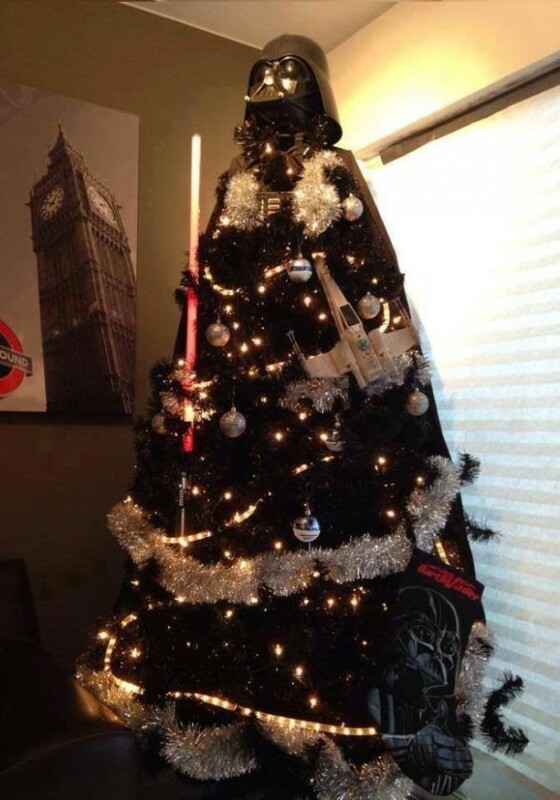 This awesome Darth Vader Christmas tree comes complete with lightsaber and a tall menacing overpowering height. Hopefully, the Millennium Falcon won’t blow up this tree before Christmas Day. This tree has a mini Death Star instead of an angel or star on the top of it and features all kinds of Star Wars Christmas decorations.